Just a note that I snapped the attached pic of a sign being installed at the Roosevelt collection this morning. 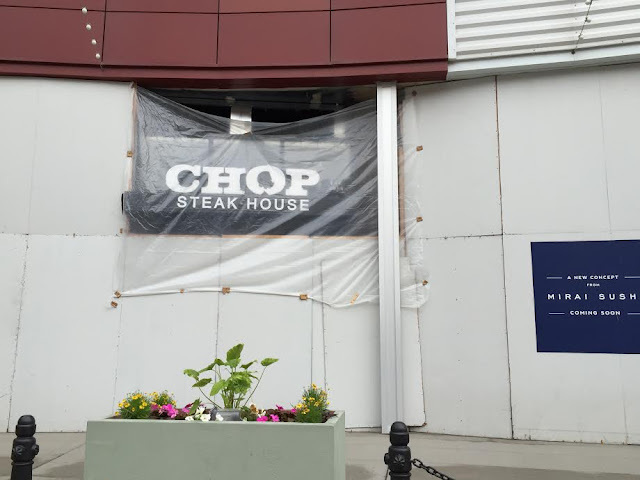 It looks like Pork Chop is going upscale. One of the contractors said they planned to be open in 6-8 weeks. Last we heard, Chop was shooting to open in October of 2014. Besides this restaurant there are two other restaurants that have been announced for Roosevelt Collection - Mirai Sushi and Mago Grill. Nice to seem some progress on the restaurant front at Roosevelt Collection.